On Friday, about a dozen coveted parking spaces in urban Honolulu will be converted into tiny parks. The temporary takeover is part of PARK(ing) Day, designed to encourage communities to think differently about public spaces. If you were someone who worshipped at the once unassailable American temple of automobile ownership, the last few years have brought a barrage of blasphemy. Young people are buying fewer cars, Americans are driving fewer miles, and Uber plans to become so ubiquitous and affordable that it’s cheaper than owning a car. The temple walls still stand tall in Hawaii: Vehicle Miles Traveled are not going down, car sales are still strong, and our traffic jams are nationally ranked. But there are cracks developing, perhaps driven more by policy than market forces. As Honolulu’s rail transit project inches forward, the city is expanding its bike paths, boosting bikesharing, and taking baby steps toward car sharing. PARK(ing) Day was born in 2005 in San Francisco with the two-hour takeover of a single parking space. The idea quickly expanded to more than 160 cities in 35 countries, becoming an annual project staged the third Friday of September. It’s an open-source event, with a freely available 18-page color organizing manual. 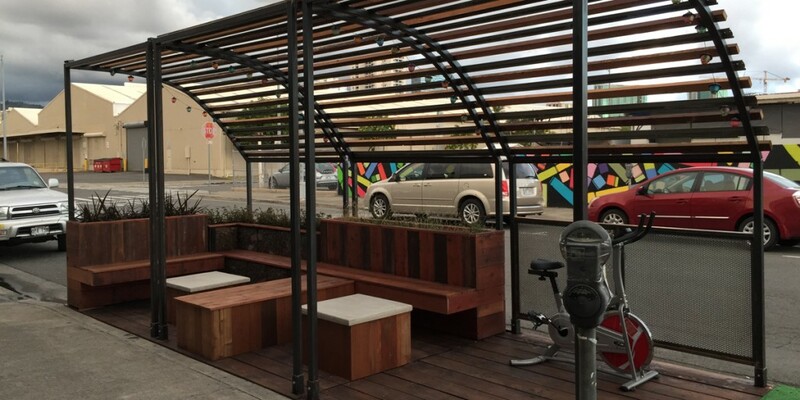 Hear about what the City & County of Honolulu has planned for semi-permanent parklets with Bill 59. 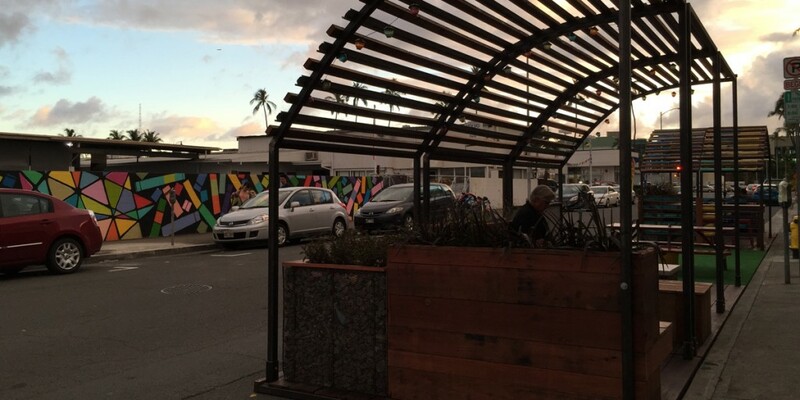 Talk with folks who have been making public spaces on Oahu. Peek at what’s happening here and worldwide. And get super charged for community-created public spaces! 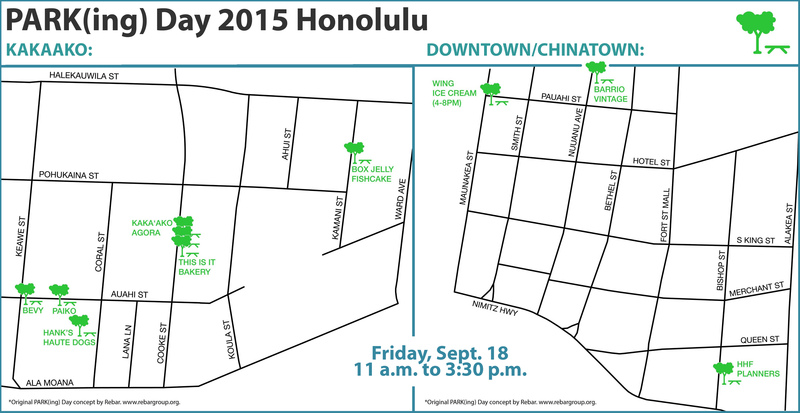 To learn more about Park(ing) Day 2015 Honolulu, visit the Facebook event page.